Heavy duty, 16-gauge type AISI 304 Top Provide Long life. AISI 304 16-gauge Round Pipe use for Two Upper shelves support. 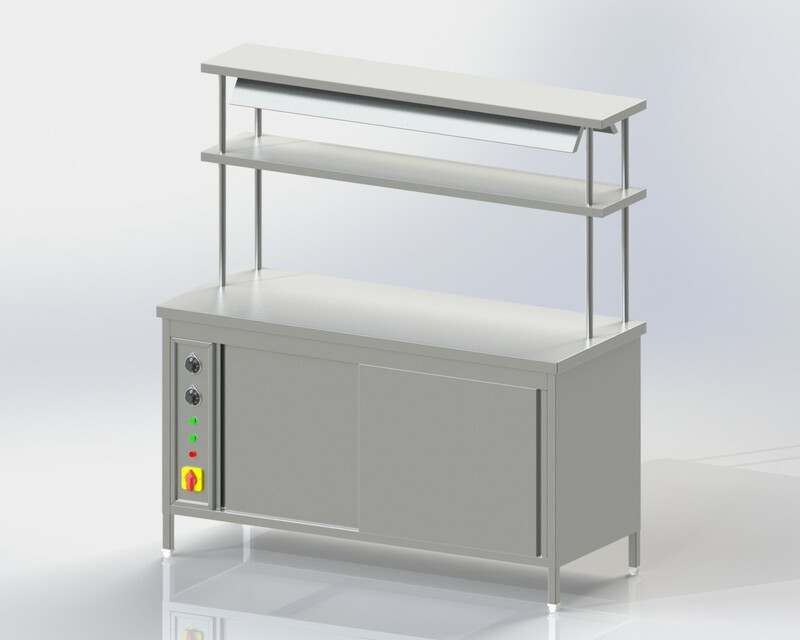 Below the Top provide hot case with insulation and Three Side covering made from 18 gauges AISI 304 also front side providing sliding doors made from 16 gauges AISI 304. For Heating Purpose use 3 KW Electrical Heater with provide control panel.